Is there a downside to accepting an offer for credit monitoring from a credit card company? One Credit.com reader, April, received such an offer and wondered if accepting it was a good idea. She doesn’t need to worry. Credit monitoring will not affect your credit scores, whether you get it through a free service or you subscribe to a fee-based credit monitoring service. Inquiries made when you check on your own credit health are called “soft inquiries,” and they do not appear on the reports that potential lenders see. (Lenders see “hard inquiries,” which are made to decide whether to extend you credit.) As a result, these inquiries aren’t included in credit score calculations. Such inquiries are not shared with lenders and do not affect credit scores. They only appear on the credit report when you get it through the credit monitoring service to which you subscribe, or when you request your report directly from the credit reporting company. The credit monitoring service inquiries are the same as if a consumer requested their own report, so it will not prevent someone from getting credit. “Credit monitoring … provides monitoring of a consumer’s credit activity and alerts them when key components of their file are changed,” says Meredith Griffanti, senior director of public relations at Equifax. And there are a variety of ways consumers can do this. 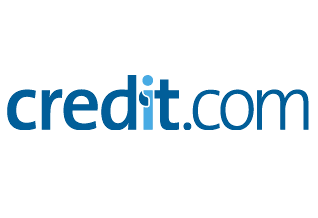 They may get a free credit score on their credit card or bank statement, or they may take advantage of sites like Credit.com, which offers users two free credit scores along with an explanation of why the scores are what they are. Or they may choose to subscribe to a paid credit monitoring service that offers access to credit reports, alerts from multiple credit reporting agencies and/or identity theft protection. If anything, staying on top of your credit reports and scores can be a plus. It can make you aware of problems such as high credit card balances that are hurting your credit scores. If you are building or rebuilding credit, it can be used as a tool to measure your progress. And if you are concerned about identity theft — and all of us should be — monitoring your credit can help you spot fraud earlier and address it.